Mayor Teresa Jacobs joined community leaders on Sept. 17 to unveil a new report by the Central Florida Commission on Homelessness (CFCH) that provides a roadmap to support permanent supportive housing options for homeless youth and veterans, those most impacted by homelessness in the region. Additionally, new permanent supportive affordable housing units will be developed through a generous $600,000 grant from JPMorgan Chase to Ability Housing of Northeast Florida, an organization that has successfully been addressing the shortage of permanent supportive housing options for chronically homeless individuals, veterans and families in Jacksonville. The Orlando region will receive $500,000, and $100,000 will benefit their Jacksonville location. The new CFCH report, titled “The Path Forward: Rethinking Solutions for Homelessness in Florida,” provides a comprehensive roadmap for creating policies and programs aimed at making homelessness rare, brief and one-time, especially among youth and veterans—the groups most impacted in the state. The report, with funding support by JPMorgan Chase, was developed by Barbara Poppe, a nationally- recognized leader on community homelessness issues and the former executive director of the United States Interagency Council on Homelessness. “Ending homelessness is a complex, but attainable goal when we put the right resources at work, collaborate, and have in-depth information from people who experience it, so we can create the right strategies to help them,” Poppe said. The banking firm has funded Ability Housing’s work in Jacksonville since 2002 and also provided the seed grant to explore expansion into Central Florida in the fall of 2014. The nonprofit has already developed 298 units of affordable and permanent supportive housing in Jacksonville. Through the grant, they will be adding units in Central Florida where there are very few permanent supportive housing developers. “Florida means opportunity for so many, and when we have families and individuals facing homelessness, we are falling short on that promise, and impeding prosperity and growth” said Mel Martinez, Chairman for JPMorgan Chase in the Southeast and a former board member for the CFCH. Martinez served as Mayor of Orange County from 1998 through 2001 before becoming a United States senator. He later served as the nation’s 12th Secretary of Housing and Urban Development under President George W. Bush. According to the new report, the main priority is to seek Housing First legislation to accelerate the creation of more affordable rental housing, implement rapid rehousing, and produce additional units of permanent supportive housing. “We’ve long been known for our culture of collaboration, as strongly-forged partnerships are transforming our region. 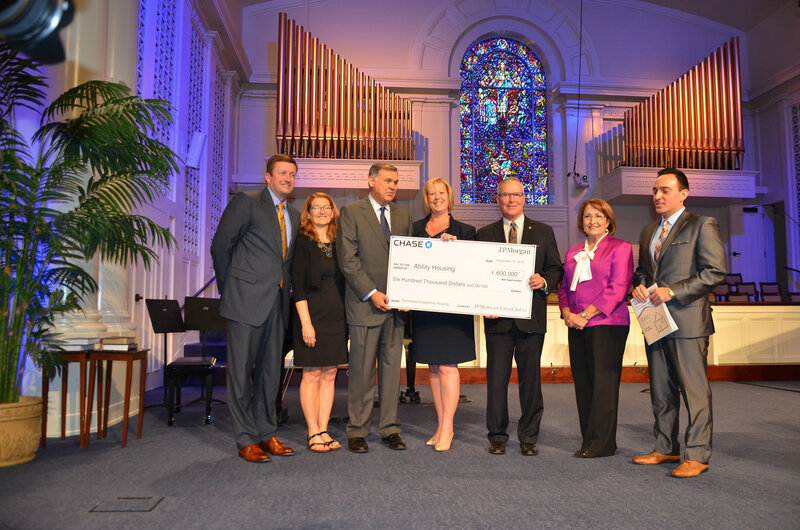 With the support of business leaders, like JPMorgan Chase, we are turning this strength to focus on homelessness, demonstrating our region’s culture of caring,” said Orlando Mayor Buddy Dyer. This model has proven effective nationwide and is a centerpiece of Opening Doors, the nation’s first comprehensive strategy to prevent and end homelessness launched in 2010 under Poppe’s leadership. The new report results are based on research and input from community dialogues conducted in Tampa Bay, Central Florida, Jacksonville and Miami to get local insight from homeless service providers, business leaders, and philanthropic funders.